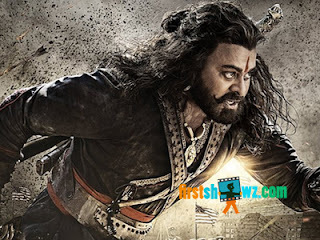 Sye Raa Narasimha Reddy is Mega Star Chiranjeevi's dream project, and producer Ram Charan, director Surender Reddy are leaving no stone unturned to make it a grandeur. Sye Raa action scenes, especially the war episodes are going to be major highlight of the film, and we hear that a whopping Rs 54crs would be spent for the action scene that is being canned in Georgia, that will last for 8 minutes in the film. The war scene will involve hundreds of artists in the shoot as soldiers. Ram Charan has headed to Georgia to supervise the production activities of Sye Raa, and the schedule will be carried for another five weeks. Sye Raa is a biopic on freedom fighter Uyyalawada Narasimha Reddy and the movie casts Amitabh Bachchan, Nayanatara, Tamannaah,Vijay Sethupathi, Sudeep in chief roles. Amit Trivedi is the music composer.